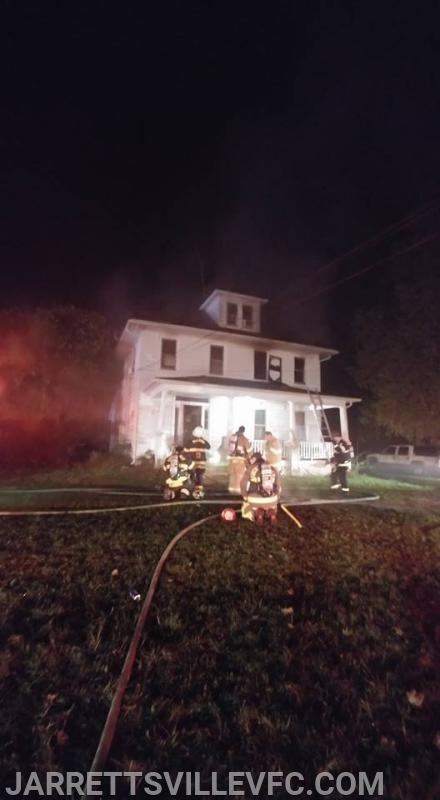 The Jarrettsville Volunteer Fire Company and surrounding stations were alerted for a reported dwelling fire located in the 3100 Block of Jarrettsville Pike. First arriving units reported a single family wood frame dwelling with smoke showing. After investigating, fire was located in a bedroom and was contained to that room. Crews worked the scene for an extended period of time before being placed back into service.